Tailgate parties can be fun as long as planning is watertight and on point. There’s got to be loads of food, drinks, of course barbeque, and equally as important, music! There literally cannot be a party without music. Now, that’s where tailgate speakers come in. While some might not see the need, tailgate speakers are absolutely compulsory if you want your tailgate party to rock. Your car speakers might actually be great, but generally, they are not designed to perform in situations like a tailgate party. Plus, at high volumes, car speakers do not exactly sound great. So, if you’re one of those hoping to throw the sickest tailgate party in the history of tailgate parties, this article is for you. 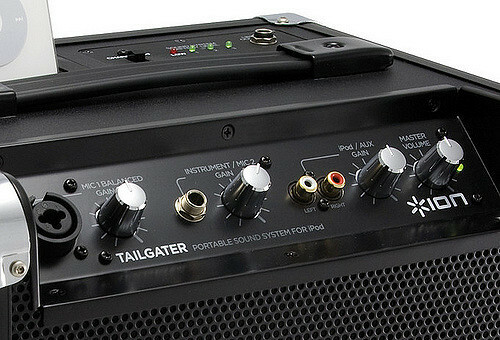 There’s a buying guide to give you a quick crash course on all things tailgate speakers. Also, we’ve reviewed our ten favorite speakers to make choosing easier. We open our reviews today with this beast from Soundboks called the Soundboks 2. It does cost a pretty penny, but if it’s right up your alley, we’d encourage you to get this. Chances of regrets are nearly zero. The product actually does what it promises, no exaggerations. One of the first things that blew our minds when we saw the speaker was its battery capacity. This speaker can keep going for 40 hours non-stop. Mind you, this is on a moderate listening volume. Be that as it may, this is still really impressive, because even at high volumes, this still gives you 8 solid hours. That’s more than enough for your tailgate party if we’re all being very honest. Alright that said, let’s talk volume, this speaker packs a massive volume. At 122dB, your party can never get boring as there’s enough speaker volume to keep spirits high. In fact, its claim to be the loudest speaker in the market is not just marketing hype. We ourselves haven’t seen anything as loud. Audio quality is not an issue here as the speaker sounds big and beautiful. With its size, of course, you can trust that the bass ends are more than adequately covered. Plus, sound comes out balanced with minimal distortions. In build, this speaker comes out quite solid. The metallic grille out on the front of the speaker is high quality and will definitely protect your precious cones from damage. We can confidently tell you that this will endure whatever abuse the outdoors can possibly throw. Lastly, this comes with a backpack carrier which is great. At the same time though, at 33 pounds, we’re not sure you should be plopping this on your back willy nilly. As per speaker standards though, this is pretty compact and lightweight. 40 hour battery life at moderate volume (about 8 hours on max volume). 122 decibel rating, so this is pretty loud. Lightweight, compact, and therefore, portable. QFX has been in the business of electronics for about 30 years now. So, it comes as no surprise that its QFX PBX-61081BT makes it to our number 2 spot. From the dimensions of this thing, you can tell this is a big speaker. But as you know with party speakers, this is a big pro. Why? Well, because only the big speakers can deliver on the loudness and thumping bass that every party thrives on. Thankfully, though this still remains lightweight enough to be convenient and portable. This speaker packs the perfect size for an ideal tailgate party speaker. At the heart of the speaker you find the woofer which is an impressive 8 inches in size. There’s also the tweeter which sits on top of the woofer. To keep these safe and protected, you find the metal grille in the front. So, yeah, your investment is safe. Like the last speaker we saw, this is a Bluetooth speaker. 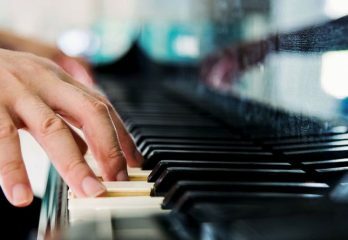 So, there are many ways to play your music. In the first place, this will easily connect to just about any device as long as it is Bluetooth enabled. Alternatively, there’s the built-in FM radio. Or you could play from your USB or SD card. Loads of options as you can see (there’s an AUX port with which you can connect non-Bluetooth devices). Now, the manufacturers didn’t exactly say how long the battery here could go. But from research, we found that this could go for anything between 5 to 6 hours when fully charged. That’s quite impressive. 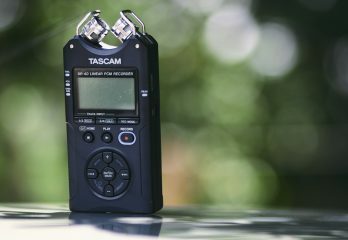 To kick things up a notch, QFX threw in two quarter inch mic inputs. So, if your karaoke is your gig, this speaker can help you make that happen. Lastly, this is easy to move around thanks to its handle and wheels. Gets pretty loud with minimal distortions. A variety of options for playing your music from FM radio to USB, SD card, etc. Wheels and handle makes this speaker easy to move around. Bass isn’t exactly as deep and thumping as many would prefer. Bluetooth range is not wide. Next up, check out the Ecoxgear GDI-EXBM901 nicknamed the Ecoboulder. 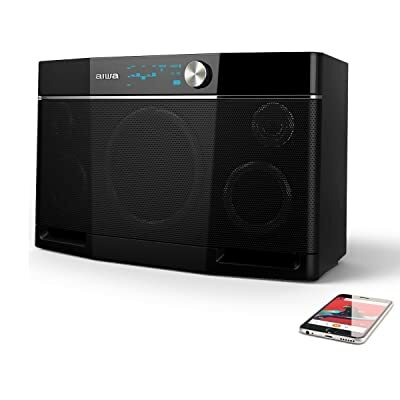 This is a high quality speaker with an excellent battery life and portable quality to it. It’s also Bluetooth connectivity, so it eliminates the need for wires making your tailgate setup more convenient. Alright, let’s begin with the design of this speaker. It’s a standard, classy speaker in black. 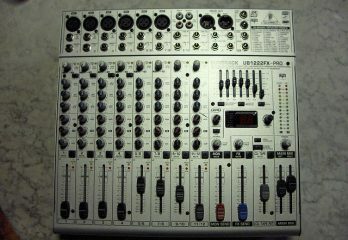 Also, the control panel is easy to use because, thankfully, Ecoxgear organized the buttons pretty well. So, this speaker kills it in its ease of use and stylish design. But there’s more to its cool, calm, and collected appeal, this is a sturdy speaker. From handling this speaker, you can easily tell the Ecoboulder comes from solid stock. The materials here are high quality so yep, this speaker will surely last. But perhaps its biggest feature is the fact that this speaker comes waterproof and dustproof. According to Ecoxgear, even if you were to drop the Ecoboulder into a lake, you need not worry since this thing floats. Whether that’s true or not, it’s great to know that this speaker can handle a little moisture and dust. As for sound quality, we can’t assure you that this speaker will deliver on the baddest sound ever. It does okay, though. What we can say is that this will definitely work if your tailgate party is not a very large one. You know, just a small gathering of friends and fam. In volume, this speaker gets quite loud. However, expect a little distortion. But altogether, this speaker still does well on the lows and highs, although mids could be a bit clearer. Plus, bass ends aren’t exactly rib shaking too. Nonetheless, we’re pretty sure you’d love the customization its five preset EQ settings give. Decent speaker altogether. Bass isn’t strong and mids are not clear. 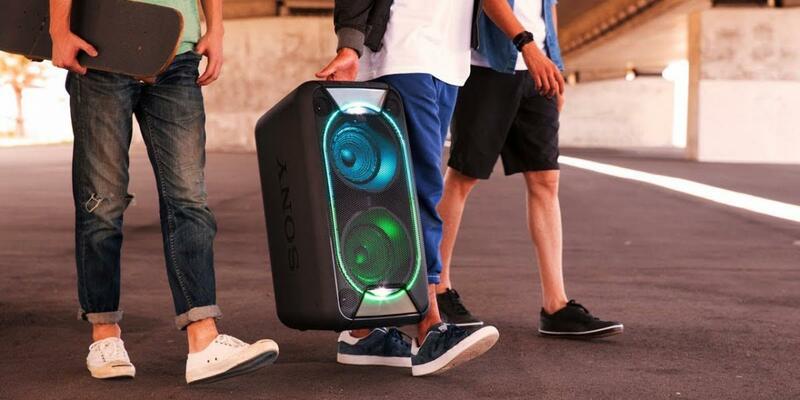 If you’re lover of heavy bass with the convenience of Bluetooth, then you’re going to love the Sony GTKXB90. 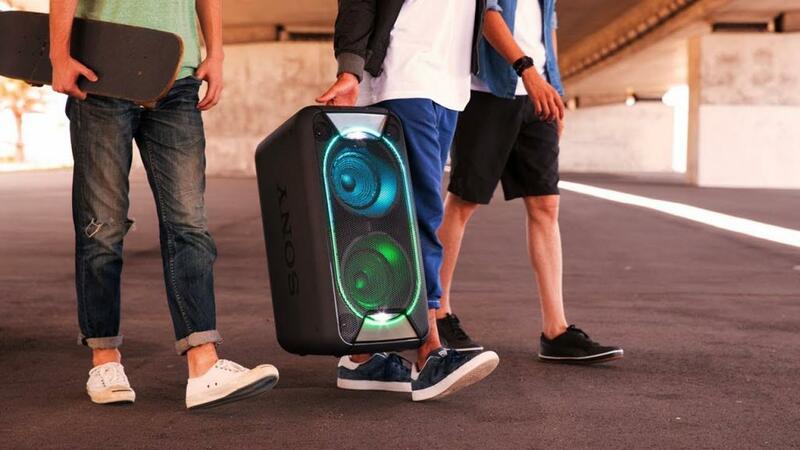 It packs enough bass and volume to liven your party. You’re so going to enjoy tailgating with this. 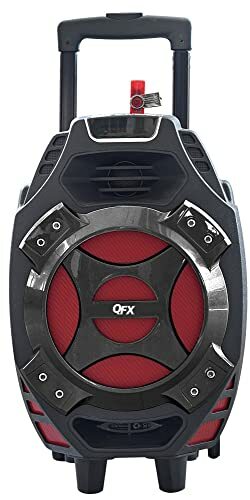 Now, especially if your crew loves EDM music like Dubstep, Trap, or Electronic, they would absolutely fall in love with this speaker. 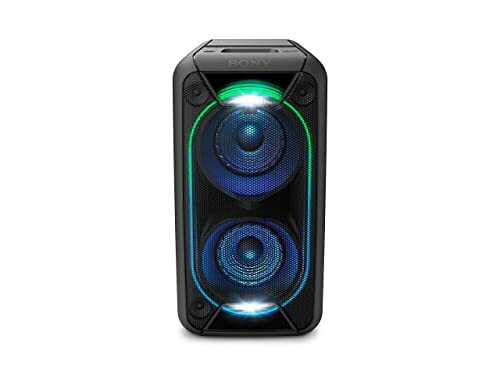 The Sony GTKXB90 is one of the most impressive speakers in the market when it comes to bass delivery. But we’re not here to listen to just the bass, right. After all, too much bass can get annoying after a while. So, let’s check out the trebles and mids. Well, the trebles are decent, although we wouldn’t call them Soundboks 2 great. They are just okay. The mids here are also pretty good, clean and clear. 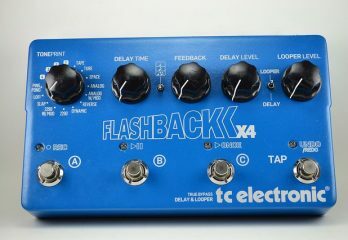 But we’re going to be very frank with you, the GTKXB90’s biggest feature is its bass. That’s the biggest pro it brings to the discussion. So, Sony didn’t really put in so much to other aspects of the frequency range. There are 2 woofers just to ensure that bass is super. 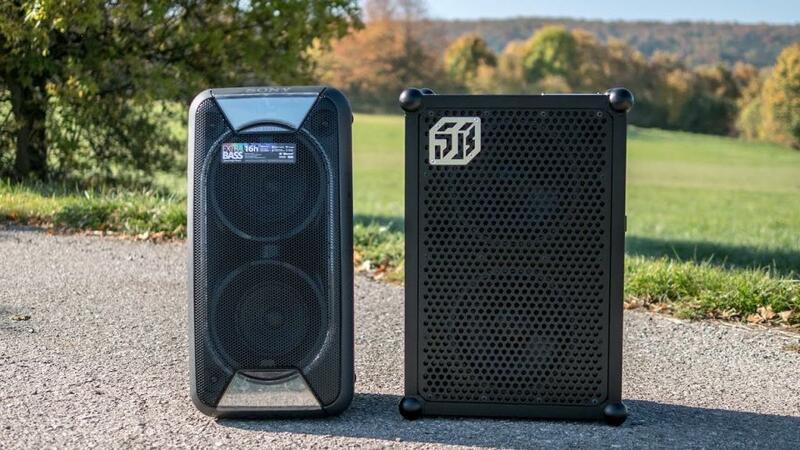 If bass isn’t your ultimate need in a tailgate speaker, then we might advise you to get a different speaker. Otherwise, this speaker is terrific for bassheads. At very high volumes, you’d be happy to find that this still produces minimum distortions. And this dude is pretty loud. In fact, when you’re not tailgating, if you use this at home, your neighbors would either call the cops or just move out altogether. As for build, we would say this is pretty sturdy and durable. We also like the looks of it. Plus, there’s a mic input too when you need to lend your voice to the party. PS: It’s also got customizable settings too! Excellent bass with an extra bass button for a deeper, punchier sound. Great battery life (at a moderate volume). Flashy lights to liven the mood! Comes with 2 woofers and 3 tweeters. This speaker is bass-oriented, if that’s not what you want, look elsewhere. We move over to the Aiwa Exos-9, a first class beaut that’s portable and classy. 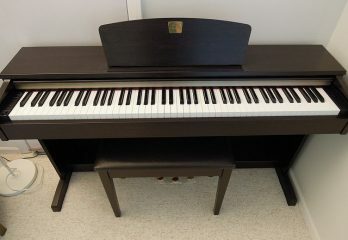 But besides its outer, this also promises a strong inner with its terrific sound. It’s also easy to use and comes with Bluetooth connectivity. You can hardly go wrong with this speaker. In design, Aiwa keeps this speaker simple with a classy design and black finish. So, it’s really easy on the eyes. Plus, it will definitely fit into any environment whether it’s the parking lot or a backyard or even your living room. We also love that Aiwa chose to make this speaker from high quality materials. So, this increases our confidence in this speaker as it looks like it’s built to last. 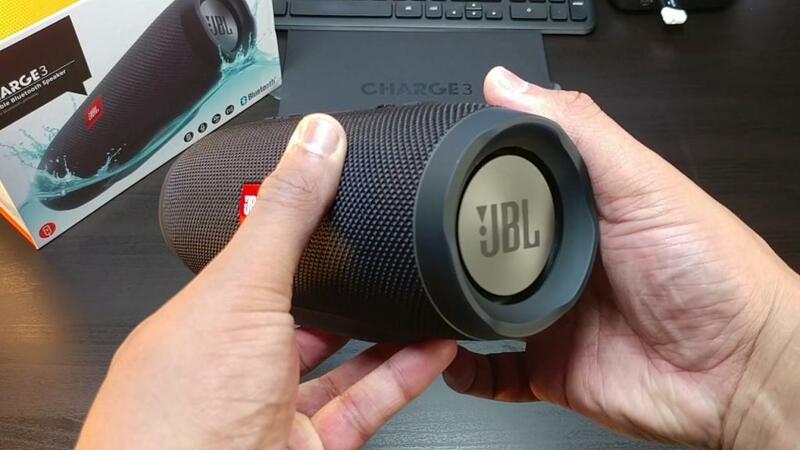 Especially since you’re mostly going to be using this outdoors, the durability of this speaker is huge pro for us. Alright, this comes in a convenient weight which is about 13 pounds. Nonetheless, the absence of wheels and a handle makes this speaker quite inconvenient to move around. Now sound quality, this is where the Exos-9 shines. It’s one of the best in the market audio-wise. Highs and lows are crystal but the best part is it gives only little distortion even at high volumes. With 5 active drivers and a power rating of 200 Watts, you can only imagine the power and volume this speaker brings. Your party is definitely going to rock whatever genre of music your crew is into from jazz to pop, to techno to hiphop. This speaker caters to them all. Even more, there are onboard controls here which help you customize your sound to your own unique tastes. They can be quite complicated to use, at first. But with a little patience, you’ll find your way around them. Controls are a bit complicated for some folks to use. The Ion Explorer Outback comes in next on our review with loads of features that are sure to wow you. It’s great for any weather as it comes waterproof. Plus, with its robust battery, get ready for hours of partying unend. We love this speaker for its ruggedness. It can definitely withstand some outdoor abuse. It also comes with Bluetooth connectivity. And if you want, there’s the FM/AM radio built in as well. We also like the mic input part which means that you can decide to go karaoke if you want. Alright, this speaker is 100 Watts strong which means that its sounf quite powerful and strong. And with its 8 inch woofer and 3 inch tweeter, the sound is pretty clear too. So, you get loud and clean sound. Sounds good to us! Nonetheless though, expect some level of distortion at high volumes. 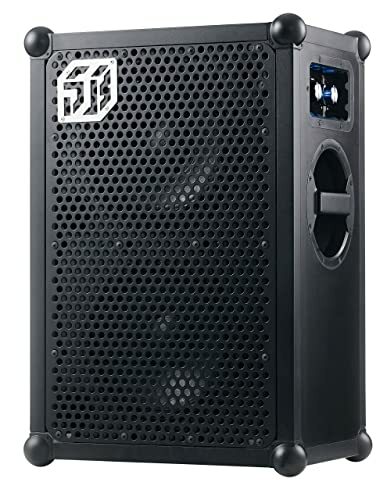 Besides that, this is a pretty large speaker so you can trust that it will deliver on pretty big sound and bass too. Although this weighs at 33.1 pounds, which can be pretty inconvenient to lug around, this comes with a handle and wheels. So, it’s super easy to move this unit around. 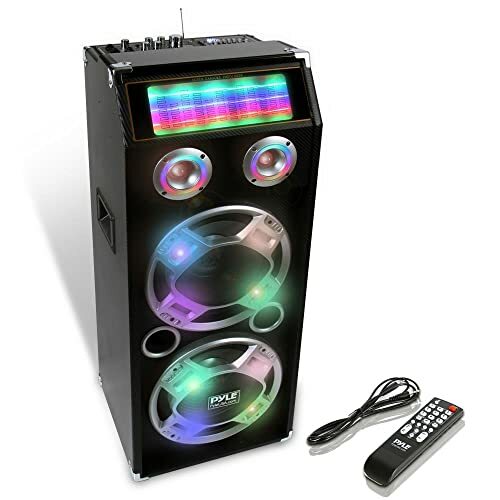 And to keep interesting, this speaker comes with all these flashing lights that livens up your party and keeps it interesting. One other thing we really love about this speaker is the fact that besides Bluetooth, you can also play music from your smartphone using the USB port. So, there’s a lot of connectivity options to utilize here. Lighting effects makes the party livelier. Portable with a handle and wheels. A few complaints about distortion at high volumes. We review another speaker from Ion Audio. This time, Ion Audio calls it the Raptor. So, what’s in the Ion Audio Raptor for us? Well, check it out. One look at this speaker and you can be sure that this thing comes rugged. As you know, getting a solid speaker is especially important when looking for a tailgate speaker. You know you’re going to be using this in the outdoors, so it is important that it is strong enough to withstand the elements. You know, a little moisture and dust. It’s also waterproof like all Ion Audio speakers. So yes, in the face of a light drizzle or rain, this speaker is still going to be okay. It’s easy to move this around since this comes with wheels and up to three handles too. There are even cup holders too which is quite interesting and nifty at the same time. Sound here is pretty decent. It packs plenty bass and the other ends of the frequencies are pretty balanced too. This packs a peak power of 100 Watts which means that this speaker is loud and packs a pretty powerful sound. You’re going to be impressed. There’s a mic input as well as a mic here. So, it’s great for singing or even if you want to do a little speech thing at the end of your shindig, this works too. And to keep the party even more lively, there’s a multi-color light bar on the speaker. 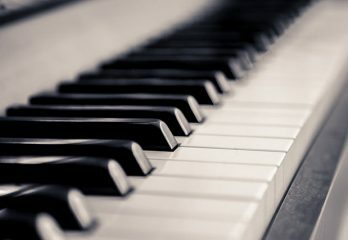 You can decide that it pulses according to the music, or keep it steady, or even put it off altogether. Another speaker from ion Audio and we’re loving it. Packs enough volume for your tailgate party. Super durable thanks to the rubber-treaded body. Wheels and three handles make for improved portability. 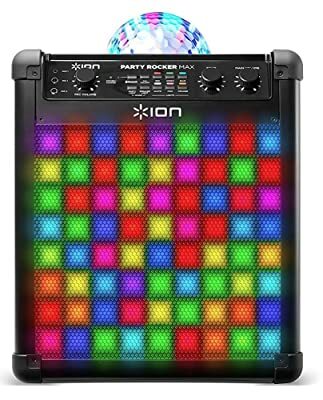 As the name suggests, the Ion Audio Party Rocker is a party rocker. It comes with all the sparkly lights that brighten up your party and your spirits. And there’s also the opportunity for some karaoke fun with the mic inputs and mic too. This speaker packs a lot of power, actually 100 Watts. So, there’s enough amp power to deliver on powerful sound and impressive volume. The battery power is also quite impressive here. At moderate volume, this can keep pumping music for up to 75 hours. However, if you set the lights and crank this up to the highest volume, the expected output drops expectedly to about 5 hours. Good thing the speaker can also connect to AC power when it’s fully charged. So, it can keep pumping music beyond 5 hours with all the lights and music at full blast. Of course, this is as long as you’re close to a power outlet. Alright, for sound, this does pretty well. The 8 inch driver drives powerful bass. So, you’d definitely love this for your party. The other frequencies like the highs and mids are also pretty well covered as well. 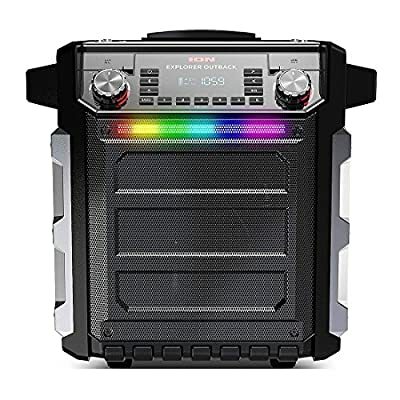 Besides tailgating, this speaker is also great for a karaoke party too. The package does not just come with a speaker. Like most Ion Audio speakers, this also comes with a dynamic microphone which you can use for your karaoke shindig and all. Comes with eco effects for karaoke. Woofer and tweeter are powerful so they give an impressive sound. 4 handles and wheels to make this speaker portable. The Pyle PSUFM1035A is another impressive speaker that has earned itself a spot on our reviews today. It comes with high quality components, flashy lights, as well as a display screen too. So, you don’t just get the glitz, you also get quality sound too. It comes with Bluetooth convenience which makes it very easy to connect to all your devices. Plus, with the display screen, you’ll be able to tell which song is currently on. We also love how seamless it is to stream your music straight from your Spotify, Pandora or other such services via Bluetooth. And now to sound, this packs 1000 Watts of peak power and with a 10 inch woofer, you do the math. The bass here is going to be sick. In fact, overall sound quality is fantastic. And it’s plenty loud too. You’re going to love partying with this speaker. Other features we really like about the speaker is that it comes with a built-in FM radio. Plus, there’s also an SD card reader which allows you play music straight from your SD card. How strong is this? Well, this comes well-built, so we’re pretty sure this will endure long years of use. We don’t know about its waterproof quality or not. But we’re sure this would work in the outdoors, at least, strength wise. Available in both active and passive configurations. Also comes with an SD card reader as well as a built-in FM radio. There’s a USB port where you can charge your smartphone. 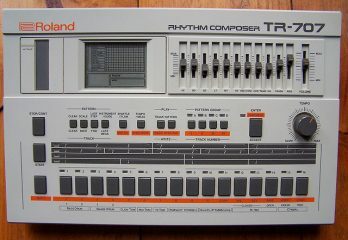 Also features an RCA stereo input and output. This speaker does not come with a rechargeable battery. Finally, we have the JBL Charge 3 and it’s the most affordable speaker on our review today. It’s also the smallest and most lightweight speaker too. But hey it might just be the one for you especially if you’re on a budget. 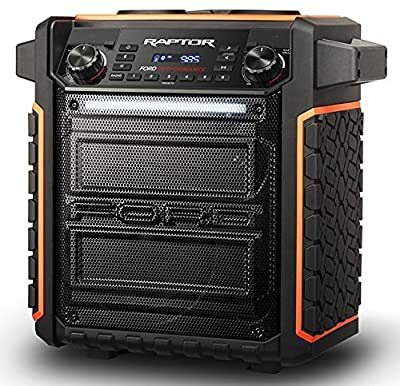 It’s a waterproof speaker which is a very important quality when checking out speakers for the outdoor. And with its IPX rating of 7 (IPX7), accidental spills, light rain and such won’t hurt your speakers. Its battery is also pretty great. Once fully charged (a full charge takes about 4.5 hours), this will play back about 20 hours nonstop. However, bear in mind that this is most likely at moderate volumes not max volume. Yeah, there is a power bank feature here too. So, you’ll be able to use this to charge your smartphone as well. Pretty neat, right? Bass lovers might be a tad bit disappointed, though but that’s to be expected from a small speaker. Though the JBL Charge 3 comes with two external bass radiators, it still doesn’t churn out earth-shaking bass. But that’s a big speaker’s thing, so you can’t be too disappointed. Anyway, another aspect of this speaker that we love is that it can connect to as many as 3 devices at once. But there’s more, it will even play files from each of them one after the other! Like we said, it’s a pretty small speaker and lightweight at about 1.8 pounds. This makes the speaker completely easy to move around. No sweats! 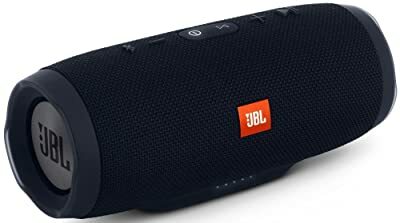 In the end, it’s obvious to see that, even for a small speaker, the JBL Charge 3 actually does pretty well. Comes as a speaker, speakerphone and power bank. Can connect 3 devices at a time. The first thing you want to do when in the market for tailgate speakers is to define your budget. Not everybody can afford to spend thousands of dollars on a speaker without batting an eyelid. So, in the light of that truth, everyone would have to cut their coats according to their cloth. 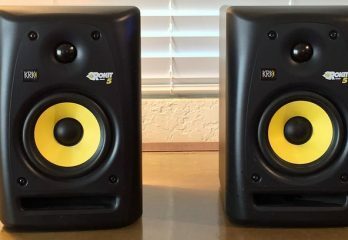 Thankfully, you can find decent performing speakers within the environs of $100. Of course, if you hike the price up to $500, your options for a great speaker skyrocket. Same for if your budget hits say $1000. You get the point now, don’t you? Tailgate parties are outdoor parties which suggests that you’d be using your speaker outside. It’s, therefore, only commonsensical to look out for speakers that are tough and waterproof to withstand the elements. Ensure to check that the materials of your speaker are study and durable. Things like aluminum reinforcements, metal frames, as well as strong grilles help a speaker score huge points. Also, check out for speakers with an IPX rating that’s at least an IPX4. Of course, you also want your speaker to be waterproof. You wouldn’t want a light drizzle damaging your investment. Party speakers have to be loud, so you need to make sure of that when getting a tailgate speaker. To find that out, look out for the sensitivity and wattage ratings of the speaker in question. It will give you an idea of the max loudness your speaker can deliver. A high wattage and a high sensitivity (think 90dB, at least) will work together to give you massive volume. As much as volume is important, overall sound quality is even far more important. Everything needs to be balanced between the mids, highs and lows. Of course, you also want a little more emphasis on the low end frequencies. Also, your speaker should give a good separation with a soundstage that’s wide enough. Don’t forget to also look out for distortion especially at high volumes. Generally, a speaker that will not produce so much distortion usually comes with a THD (Total Harmonic Distortion) of less than 1%. By this we don’t essentially mean size, we are more concerned with how convenient it is to move the speaker about. A loud speaker that emphasizes the bass can’t be small. So, look out for large speakers. However, they should be able to fit into your vehicle. Plus, handles and wheels are always a good thing. Again, you might want to consider a wireless option as it also increases convenience. The battery of your speaker needs to be able to deliver at least 5 hours even at max volume for it to be considered good. Don’t follow the labeling blindly. What most manufacturers write as max playing time isn’t at max volume. So, learn to shorten that time by a couple of hours to get the actual playtime. From our reviews so far, the clear winner is the Soundboks 2. Like it accurately claims it’s the loudest speaker in the market with a staggering 122dB. 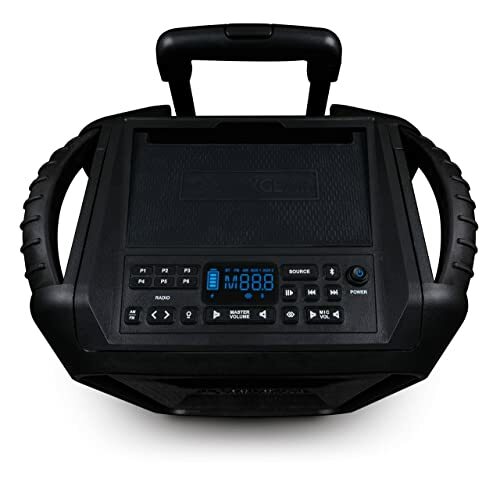 Plus, it also delivers on every other aspect we believe to be crucial to a tailgate speaker. From bass to ruggedness, to being waterproof, to portability, this speaker rocks! We absolutely love it!